In the Valley of Lares, located in the Peruvian Andes, peasant women and men live together with a diversity of cultivated, semi-cultivated and wild foods present in the different altitudes of the territory. This agrobiodiversity is closely linked with knowledge and the traditional practices of its inhabitants, allowing them to contribute to the conservation of their biocultural heritage. 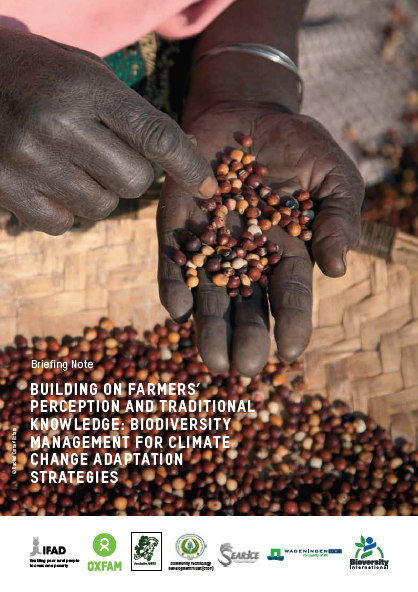 Due to a changing climate, an increase in commercial product consumption and youth migration to cities, there has been a noticeable loss of agrobiodiversity and traditional knowledge of that diversity in the area. As part of the SD=HS program, Asociación ANDES together with six indigenous and smallholder farming communities in and around Lares (Choquecancha, Ccachin, Rosaspata, Pampacorral and two of its annexes Mapacocha and Maucau) have been exploring and revaluing the agrobiodiversity of the surroundings, with the objective of reintroduce it into the lives of the people of Lares. 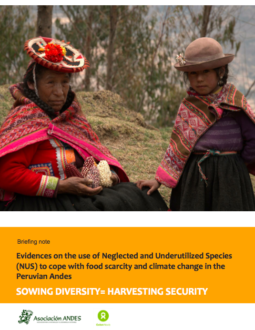 This recipe book (in Spanish), with over 120 recipes that were created during Farmer Field School sessions on Neglected and Underutilized Species (NUS) and nutrition contains the collective work of 1,388 families and 5027 people, most of whom women. In these pages, you’ll find the collective knowledge of women, men, boys and girls who put their hands and minds together to create these dishes, using local foods only. The recipes focus especially on the forgotten and underutilized species, such as llullucha, k'allampa, culis, watercress, pinchicho, achoq and turnip, among many others. 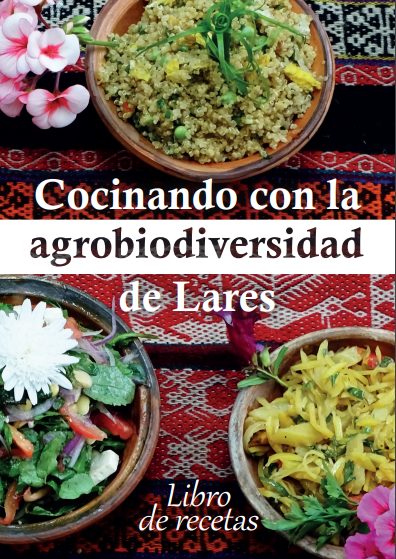 With this book, the communities of Lares, Asociación ANDES and the SD=HS program aim to encourage and inspire the curiosity to cook with the wide range of ingredients that can be found locally.